This is a one-day high-performance course developed in conjunction with the Kevin Schwantz School and the Yamaha Champions Riding School. A large riding area allows speeds more aligned with actual street speeds. Includes visual awareness training and hands-on practice in handling advanced braking and cornering maneuvers. "Fast Eddie" from www.MotoJitsu.com took the CRC and made a video of his experience. Check it out and see for yourself what the class has to offer. Speeds up to 50-65mph so you get "real world" riding training in a safe environment. #2. 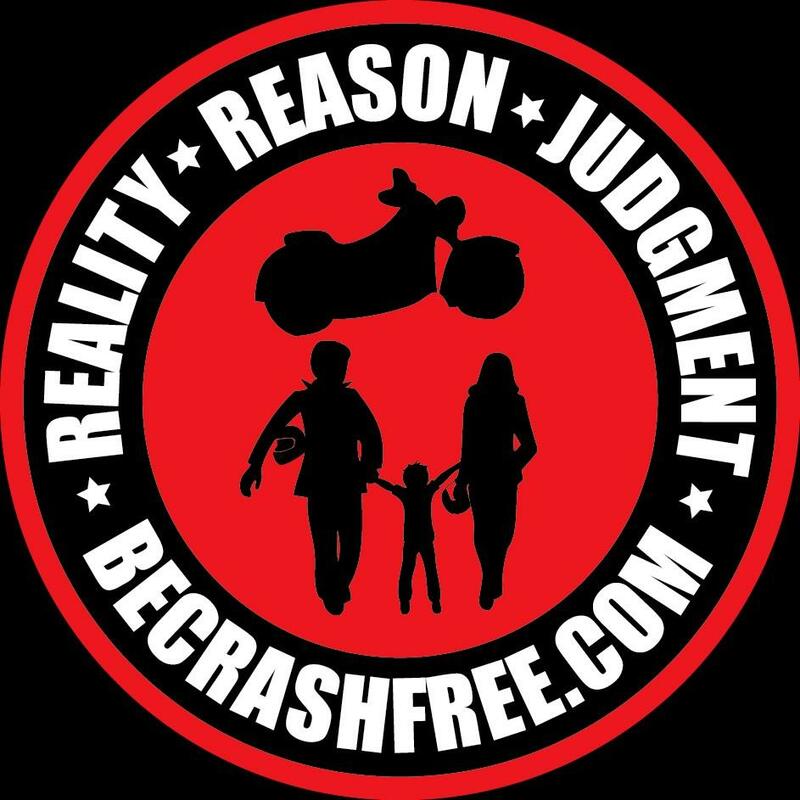 As a second bonus, we’ll send you a Be Crash Free street riding tip video every 2 weeks for the next 12 months. The videos will be sent to the email address you use when you register for the CRC. You’ll find 2 of these riding tips already loaded into your online bonus area. #3. And as one final bonus, when you complete your CRC course, you’ll get a coupon for 50% off our popular “Low-Speed Mastery” Course – A 3-hour live class on your own bike to master your machine and get rid of the concerns about dropping your bike or having to put your feet down. This is your invitation to join us for the newest street riding course produced by the Motorcycle Safety Foundation and we are the first non-military training site in the United States to offer it. This is your time - you've wanted to take higher level advanced training for a long time and you’ve promised yourself you’ll do it sometime. Make that time now. Enroll today by clicking the button on this page. That will take you to a checkout page where you'll enter your payment information. You'll then get an instant access to our online resources and an email confirmation with details about the live onsite training and what to do between now and then. We look forward to seeing you in class! You’ve already made the decision to make yourself a safer rider, it just makes sense to do it now – click the button to get started. You'll get an email confirmation with details about the onsite training and what to do between now and then. If you are going to make yourself a safer rider, it just makes sense to do it now. We’ll look forward to seeing you in class! “ChampStreet” is offered as a four-hour course aimed at street riders. The Yamaha Champions Riding School has been primarily thought of as a racing school, but the same fundamentals used by the best riders in the world to survive and thrive on the track are even better applied to the street. ChampStreet will run two programs a day, the morning sessions from 8am – 12pm and afternoon sessions from 1pm – 5pm. The full day course will run from 8am – 5pm. "OH NO - the date I want is already sold out! Please put me on the stand by list and contact me if a spot opens up."